Are we too early to think about such things or are they impacting an organization more than we realize? How can marketing ops learn from other mature areas in an organization to prevent reinventing the wheel? 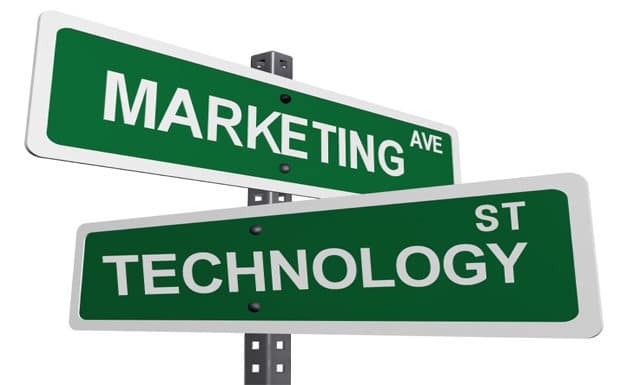 What does the merge of marketing and technology offer to other areas struggling with technology? Our first perspective is that resonates with me in terms of how making technology works for us. Most marketers do not have fuzzy feelings from the MIS / IT department, however like marketing operations, play a significant role (and many times thankless role) in keeping an organization a nimble as possible, tackling an overwhelming number of projects and stay innovative. I had the pleasure of reconnecting with a former colleague of mine, Barry Schnur, Vice President, Information Systems at Silverpop, to get his perspective on MIS’ role in marketing/sales operations and strategy. Barry, What are your thoughts about the role MIS plays in Marketing and Sales? And the role of alignment between the two?As Marketing and Sales departments become even more automated, a partnership with MIS is even more critical than ever. MIS should act as a business and technology partner that provides consultative, business analysis, and software implementation expertise to Marketing and Sales. As with any functional department, MIS should be a resource that enables Marketing and Sales to achieve their strategic goals. With the proliferation of marketing automation and mobile and social technologies, the need for alignment and partnership increases significantly. Staying abreast of these changes in the very dynamic marketplace of marketing technology is a significant challenge. Either group working in traditional silos is detrimental toward achieving their combined goals. What should marketing and sales (operations) keep in mind when working with MIS? As MIS and IT groups have wisdom of solving many of the problems that marketing and sales ops are currently overcoming, what can marketing and sales (operations) learn from MIS’ methodology and/or approach?Good MIS organizations are built to understand and adapt to different functions and dynamic needs. They also typically have a disciplined approach which marketing and sales can benefit from. MIS organizations can help Marketing and Sales step back from their own organizations, ensure that business goals have been identified, and that business requirements are effectively established. Of course working with Marketing in 2011, MIS needs to perform this function in a rapid and flexible way. What other MIS synergies or types of resources should marketing and sales leverage?Oftentimes, MIS, by virtue of its role, has a broad vision across what are siloed functional areas in many companies. Marketing and Sales should leverage the fact that MIS has insights into other functional departments in the company and can help bridge many gaps. For example, Sales and Marketing need to work closely with Finance and have a reasonable understanding of downstream impacts associated with Sales and Marketing activities. Typically, MIS can help the business understand and enhance these cross departmental flows. We, and many of our clients, leveraged Barry’s advice in technology and process alignment. We found a great deal of synergy between our respective groups. While our systems are becoming SaaS oriented, implementation of process, cloud integration and operational best practices are areas where MIS/IT can provide a noticeable impact. How have you been able to work with your MIS/IT department? Let us know.